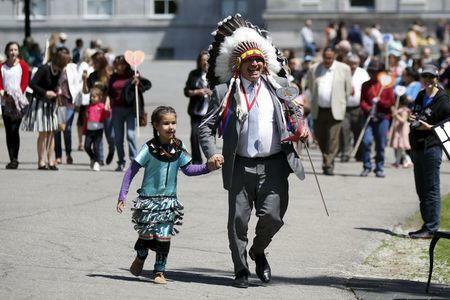 OTTAWA (Reuters) - A Canadian policy of forcibly separating aboriginal children from their families and sending them to residential schools amounted to "cultural genocide," a six-year investigation into the now-defunct system found on Tuesday. 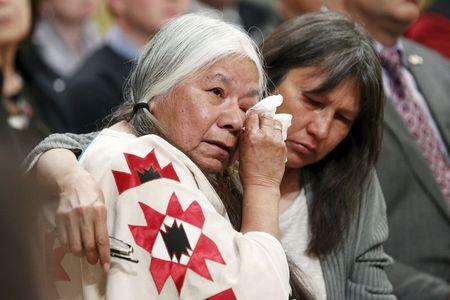 The commission was launched as part of a settlement with survivors, hundreds of whom gathered at a ballroom in downtown Ottawa to hear the report's findings. In prepared remarks unveiling the report, Justice Murray Sinclair, who headed the panel, acknowledged "that what took place in residential schools amounts to nothing short of cultural genocide – a systematic and concerted attempt to extinguish the spirit of Aboriginal peoples." Regarded as heathens and savages by the system's architects, they were beaten for speaking their native language and often forced to accept the Christian faith. Aboriginals, who make up 4 percent of Canada's population, have higher levels of poverty and a lower life expectancy than other Canadians, and are more often victims of violent crime, addiction and incarceration. 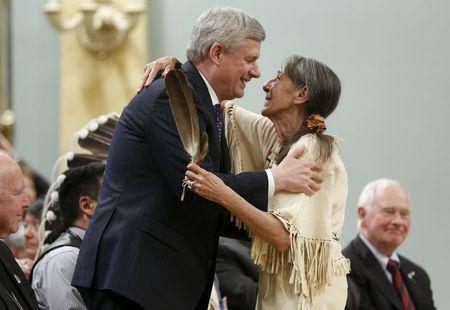 While Prime Minister Stephen Harper apologized to the survivors of the schools in 2008, relations between his Conservative government and Canada's 1.4 million aboriginals are strained. Harper told Parliament his government would examine the report's recommendations before deciding on next steps. The group made 94 reconciliatory recommendations, including special human rights and anti-racism training for public servants. It also urged the Pope to apologize to survivors and their families for the Catholic Church's role in the schools, as the church had done in 2010 for Irish victims of abuse.